Is Jesus A Lunatic, Liar, or Lord? This past week I started reading Andy Stanley’s new book called “Deep and Wide.” This is an excellent book that encourages all church leaders to look at the way we do church and help us realize that we must seek to lead churches that are as much for the unchurched (those that do not know Christ as Savior and Lord) as they are for the churched (or the already converted believer). Early on in this book Andy talks about the history of the church and he beautifully writes about how a Jewish carpenter from a small town called together a small group of men (His disciples) and trained them for only about three years but yet the message of Jesus is on every corner of this world over 2000 years later. His point is that this most unlikely story is clearly a thing of God, as man would have never been able to pull off something of this magnitude. Of course, Andy writes it so much more elegantly than I could but when reading this, I was again taken to think about Jesus Christ. My thoughts about Him made me think back to an all-time great Christian classic piece of literature. C.S. Lewis has made famous the trilemma that Jesus must either be a lunatic, a liar, or the Lord of all in his book called Mere Christianity. Some also refer to this argument as the “Mad, bad, or God” view. This was the argument that Lewis used to prove the divinity of Jesus Christ. Ever since the time of Jesus, men have argued about who this man named Jesus from Galilee really is. During Jesus’ own earthly time, even the religious leaders (the people we would expect to realize that Jesus had arrived) did not understand or grasp the fact that the long awaited Messiah had arrived. The Pharisees and Sadducees were very curious about Jesus and often seemed to be following him around to catch him in a lie or they simply rejected him. To the religious leaders of that time, they seemed to come to the conclusion that Jesus was a liar. 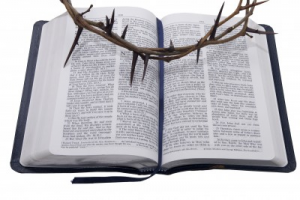 These religious leaders even knew their Old Testament scriptures very well but seemed to be expecting something far different than what Jesus was. They were not expecting the Messiah to be talking to prostitutes (John 4) and tax collectors. They were expecting someone to come and set up a kingdom on this earth (the disciples were expecting this too). To the Pharisees and Sadducees, Jesus was either a liar (as Jesus called himself God and even claimed to be able to forgive sins) or a lunatic. He definitely couldn’t be the Lord that they were expecting. Two thousand years later, many people continue to trivialize the life and teaching of Jesus. This will be argued over until the second coming of Jesus some day. Some will even go as far as calling Jesus a great moral teacher but not the Lord over all creation. This seemed to be the type of thinking that led C.S. Lewis to his famous trilemma (Jesus is lunatic, liar, or Lord). To Lewis, to say that Jesus is a great teacher or a great moral example but not the Lord just doesn’t make sense. Jesus made claims that He was God and that He could forgive sins. Lewis argued that either you believe that claim or you don’t. You cannot say that He taught great morality lessons but couldn’t be God. Jesus claimed to be God to make the people back then and even us today to make a decision about Him. We all need to make a decision about Jesus. If Jesus wasn’t the Lord over all then He would have been lying by saying that He was God. Or others argue that he must have been simply crazy to say the things that He is quoted as saying. When you hear the name of Jesus Christ, what do you really believe? If you have read this far, you may be saying that you have heard this argument before. I know and understand that. But, have you ever really thought through the implications for your own life. When you hear the name of Jesus Christ, what do you really believe? Do you simply write Him off as a lunatic or crazy man? This point seems hard to argue. Jesus Christ was/is the most influential person to ever walk this planet! He changed the time line forever. The Bible is the best selling book of all time. To argue that He was a lunatic just seems crazy. But maybe you think that Jesus was simply lying. I think that this view is what many people believe. They know He was not crazy but the argument goes that He did good things but he went a little too far with His stories and parables. This seemed to be the thinking of the religious and political figures of Jesus’ day. The final option is the option that will bring you life and peace. Jesus simply is who He said He was. Jesus is the Son of God and He not only lived on this earth but He died a martyr’s death for your sin and mine. But He didn’t just die, He conquered death through His resurrection from the dead. He is alive and well today. Everyone ultimately must make a decision about what you are going to do about Jesus. I pray that you do that today. Let your heart cry out to God and I believe you will find Jesus too. He is Lord of all! This is a timely message for any age. It amazes me that we think we have the right to evaluate Jesus. This argument (liar, lunatic, Lord) is very sound. If Jesus was either of the first two, why would we think anything He said was accurate or worthy of believing? However, if He was the Lord of all (and He still is), then we should consider everything about Him to be vitally important. And you are right, every person must decide what he or she believes about Jesus. Jesus is Lord, the begotten Son of God, the Christ, the way, the “truth” and the life. And he is no liar. How could they say that? I was thinking what Lewis mean? What Lewis meant, was a 100% all or nothing, yes or no answer. Jesus is either the Son of God as He says, or he is a deceitful and lawless person. And when you break everything down it really does come to that answer. Also, if He isn’t who He said He was, no way He could pay for our sins. I for one believe with all my heart and soul that Jesus is the Son of God and He paid the price for my sins when He took on the Cross and defeated death and sin. Every time I read the Bible and read about Jesus, I am amazed at just how bold He was. For a lack of better words, Jesus had a set of balls on Him. When you combine the actions of Jesus and His words, the conclusion C.S. Lewis reached is really the only option you have left. I think the claims are one thing but the witnessed miracles are the deal clincher. He doesn’t write about himself, or make claims ‘divinely’ received as other later so called prophets do. Our trusted reports are by others who walked by His side. Now that is really something ! Great article really makes you think I would say. I had a person tell me they had read it in the Bible that a person in heaven could go to hell and bring one loved one back with them , but they would have to take a big chance doing so . I have read the Bible clear through and never recalled such . Where did they get this idea from . I heard a man say on t.v. that God couldn’t have asked Abraham to kill his son , and gave their reasons , but I see this as a test and other reasons , how can they believe any of the book of JOB if they believe such , GOD sent his own son to die for our sins . I have no idea where an idea such as a person leaving heaven to rescue someone from hell, comes from…certainly not the Bible. The story of the rich man and Lazarus clearly shows the idea to be non-biblical (Luke 16:19-21). When we do believe the Bible, we are liable to believe anything, no matter how weird. The Bible says that God did test Abraham by commanding him to sacrifice his son, Isaac. Either we believe the Bible or we don’t, but we cannot say that it doesn’t say what it clearly does say. You are right, it was a test of Abraham’s faith. Nicholas, trust God, read the Bible, and believe it…you will be on the right path to eternal life with God. Many of the traits, characteristics of other much older mythical figures were similar to the characteristics and life of Jesus. The worship of a miracle working, walking, talking god-man who brings salvation to mankind were also the core of other ancient religions that began at least a thousand years before Jesus. At the heart of these mythical figures was a male entity; he was part god and part human – often referred to as a “god-man.” The biographies of these god-men were consistent from religion to religion. The main difference among the faiths was his name. In John 6:53-54, Jesus is said to have repeated this exact theme: “…Except ye eat the flesh of the Son of man, and drink his blood, ye have no life in you. Whoso eateth my flesh, and drinketh my blood, hath eternal life; and I will raise him up at the last day.” (KJV). Timothy Freke and Peter Gandy in their book “The Jesus Mysteries”, these god-men were referred to by the composite name Osiris-Dionysus. These saviours were interchangeable and are viewed as mythical characters yet their biographies were similar to Jesus. All of the Pagan myths had been circulating for centuries before Jesus’ birth (circa 4 to 7 BCE). It is obvious that if any copying occurred, it was the followers of Jesus incorporating into His biography the myths and legends of Osiris-Dionysus, not vice-versa. Concepts such as Heaven, hell, prophecy, demon possession, sacrifice, initiation by baptism, communion with God through a holy meal, the Holy Spirit, monotheism, immortality of the soul, and many other “Christian” ideas all belonged to earlier, older Pagan faiths. Some have suggested that ancient evidence of Pagan god-men living similar lives to Jesus prior to the first century CE is a gigantic hoax. Anti-Christian religious historians and archaeologists have simply created fictional sets of religious beliefs, promoted them as accurate representations of ancient religions, and have perpetrated a massive hoax. This is unlikely. The original source material is still available for academics to check. In fact by now someone would have written a book exposing the hoax; it would become a best-seller. I believe if you take the Bible as GOD’s word , then Jesus has always been , I get alot from reading these verses : Titus 3:9&10 , 1st Timothy 6:20 , James 2:19 , 1st John 4:1 , I whole-heartedly believe the Bible , and when I see something on t.v. , they seem to believe the most outrageous over what I would perceive as more practical and simplified in the Bible , I don’t just say I believe , I feel GOD’s blessing and hand in it . There are things that will try and deceive us , if we discuss them too much we may be seen as in wonder ourselves , and not be a wittness to others , almost like not speaking in tongues if there is not an interpreter present , better to not do this and scare someone away than to do it and take that chance . I sure don’t know the best way to express what I am trying to say , but just to say I am going to believe the Bible as GOD’s words that HE inspired , and know he is the creator of all things and all people ……. In deed Jesus is the Lord. Whatever other critics may say or write about Jesus Christ, he is the Lord. Rev 1v5 HE is the faithful witness, the first born from the dead and the ruler over the kings of the earth. what else can we say, He is the Alpha and Omega. I personally declare that he is my Saviour, my Healer, Provider, my Protector,………………. Next post: Tearing Of The Temple Curtain: Why Was This Significant?